Shih Tzu is one of the most ancient dog breeds that exist right now. Traditionally, those dogs came from China, and firstly lived in the Chinese Emperor’s house. As you may or may not know, the name translates as a “lion” from Chinese language. It is definitely a very fitting name, as shih tzu have a very proud and honorable look to them. Also, because they have a lot of hair, especially around their head. Additionally, those dogs are intelligent, very agile and have a great stamina. They can run and play for a long time, and have a lot of energy for their small size. 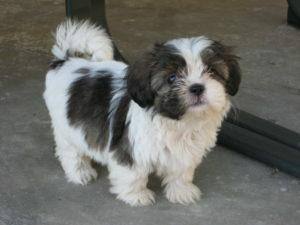 As for most small dog breeds out there, in the age of 9 weeks, the Shih Tzu looks very miniature and cute. It won’t have that much hair at first, as it probably wouldn’t have grown for long enough. Additionally, their size and weight is very small – but it will increase over the months by a big margin. As for the size, they can be comfortably placed on your palm and fit inside it completely. This is around 10% to 20% of their complete adult size. They are also incredibly light – 600 grams to 1 kilogram (1.2lbs to 2 lbs). Thus, to estimate how much your puppy would weight when it grows up, multiply your number by 5. Shih Tzu’s hair is probably the most notable thing about it. Not only that there’s a lot of it, but the way it grows is quite funny. You surely know how it flows around the dog’s face, covering a very big part of it. Sometimes, it may even obstruct the dogs vision (not for long though, as the hair is very soft and elastic). Hence, all that hair needs to be taken care of. 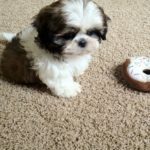 Though it isn’t a big concern for very young puppies, it is an important thing to note when you have an adult Shih Tzu. So, to take care of that hair, you should clean it and brush it every day, otherwise you risk it getting tangled. Start doing that when the hair is somewhat long already, and your puppy will get used to it pretty soon. 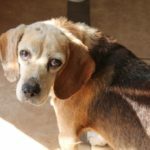 We advice you: to spend as much time as possible with your pet, especially on early stages of it’s life. Before the Shih Tzu grows up into an adult, it learns from it’s environment. 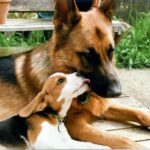 And if you are in this “environment” all the time, then guess what the dog is going to learn from? Obviously, from you. This means, that you need to teach it good manners, and eliminate bad ones. As an example, grooming has to be in a list of good ones, while “marking the territory” in wrong places should be fixed. Basically, you have to treat Shih Tzu as a child. Always defend it, take care for it. Puppies’ legs are very small, thin and fragile. 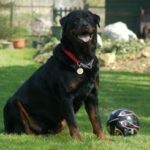 When it isn’t such a problem for big dog breeds (German Shepherds, Labradors etc. ), it is a very serious thing for dogs like Shih Tzu. 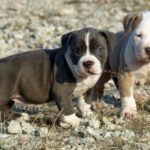 Their legs tend to break quite often, if you don’t keep an eye on where your puppy is walking and where it is jumping. If it lands itself from a great height, it will most definitely break the legs. Be careful! 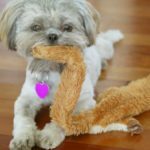 Shih Tzu are very active and energetic throughout their lives, it may happen to them more often, than to others. Finally, you need to remember one very simple and self explanatory fact – Shi Tzu are “room animals”. They feel themselves very comfortably inside a house/flat (though that doesn’t mean they can spend their whole life inside a room). This is due to their tiny size. They are very great fogs for people who live in large cities. Attention! 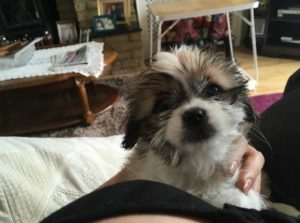 Be very warned when taking Shi Tzu puppy for a walk. It is best to carry it around most of the time, and let it walk for very brief moments, only if you are completely sure that there’s no risk of doing so. 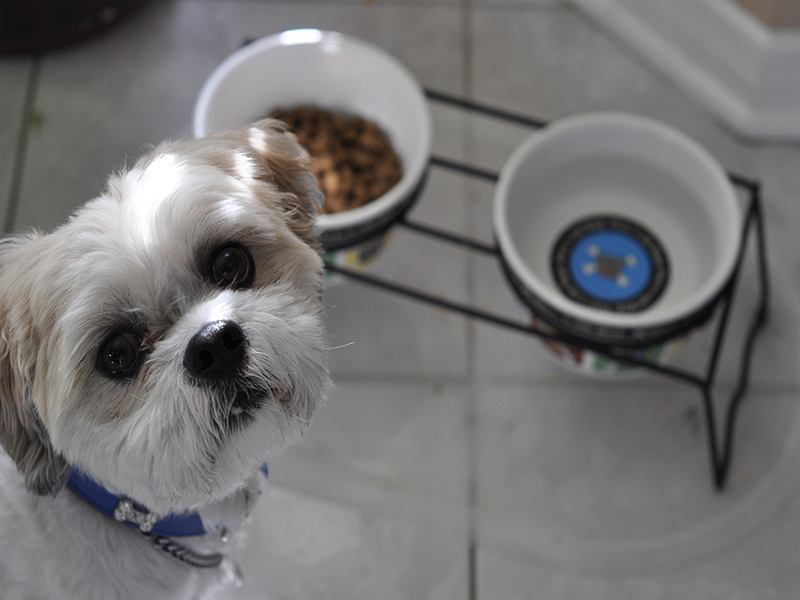 Also, always pay attention to where your pet is – it’s very easy to lose Shi Tzu out of your sight. 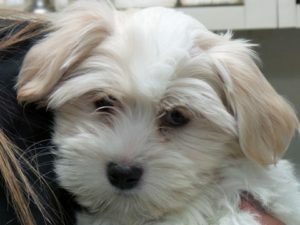 In the end, thank you for reading and good luck with your 9 week old Shi Tzu.